With 20,000 global nominations we are humbled and excited to have been selected as one of the Top 4 finalists for The Cake Masters Awards – Wedding Cake Category. 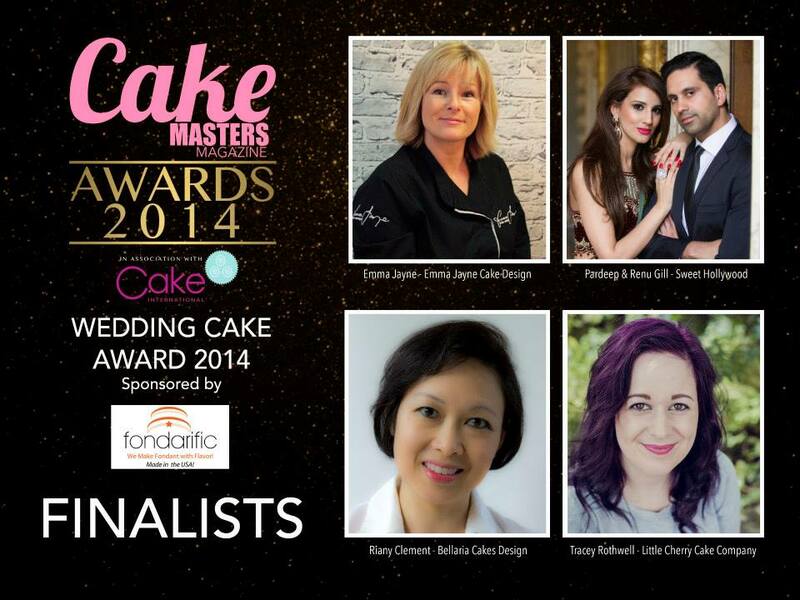 The Cake Masters Awards is the only major Awards dedicated to recognising the best talent in the World of cake decorating and sugar craft. 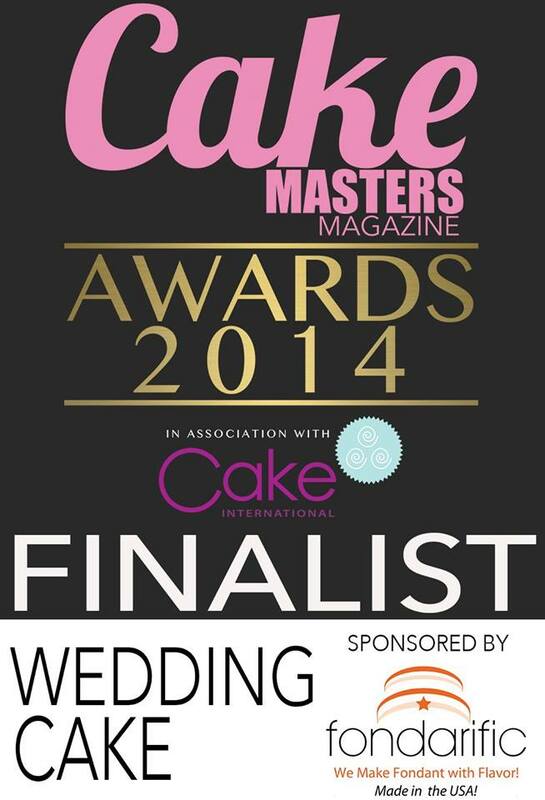 The winner will be announced at the Cake International show on the 8th November 2014! Cake Masters Magazine is an exciting monthly cake and baking publication which is free online and in print form too. There has been an overwhelming response to the magazine and their reader base continues to expand globally with readers from the UK, USA, Australia, Netherlands and Canada. 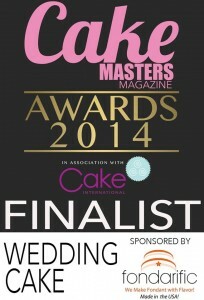 Their online magazines have had over 1,000,000 views for each of the last 4 issues and are growing strength to strength showcasing the best cake and baking talent across the globe, so you can imagine how excited we were when we were shortlisted. Each issue of the magazine is based on a theme and contains regular news, exclusive interviews, recipes, products, tutorials, special themed features and coverage of the best cake and baking shows from across the world. Cake Masters was born from the community of bakers and cake decorating enthusiasts who come together on Facebook to share creations and knowledge about all things baking. With the above in mind whatever the outcome we are truly honored to have been selected.